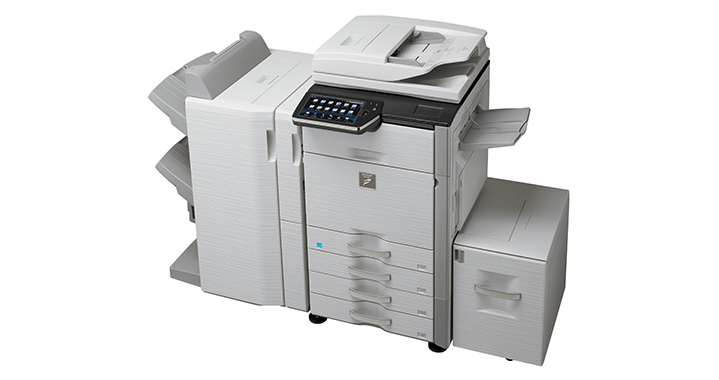 MX-5110N - Copier Rental Inc. 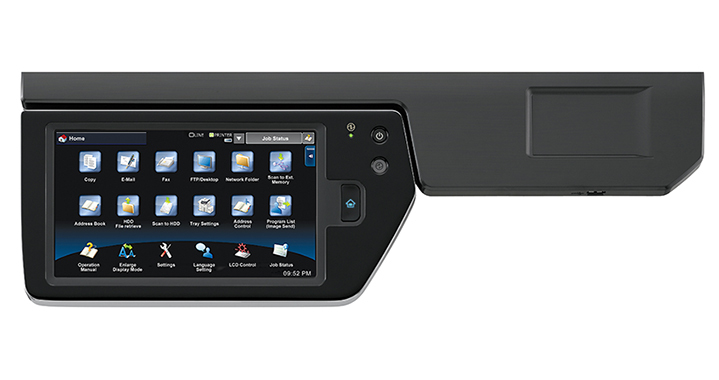 The new multifunction MX color series is more than just a copier; it offers many advanced features such as a fully customizable home screen, dynamic action menus that provide feature-specific guidance, standard PCL®6 and PostScript®3 printing systems, and a full-size retractable keyboard for easy data entry. 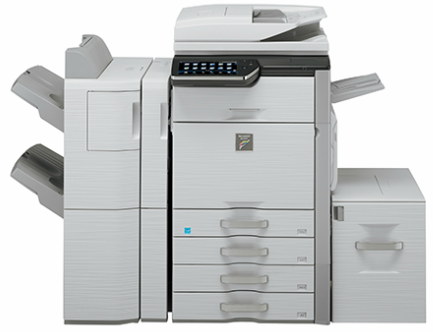 Plus, with Sharp's enhanced second-generation micro-fine toner technology and true 1200 x 1200 dpi print resolution, these new multifunction copiers can help your business produce professional looking color documents in-house with breathtaking image quality that is also economical. And, with Sharp's industry leading security platform with standard 256 bit data encryption and overwrite protection, you can rest assured that your intellectual property is well protected. 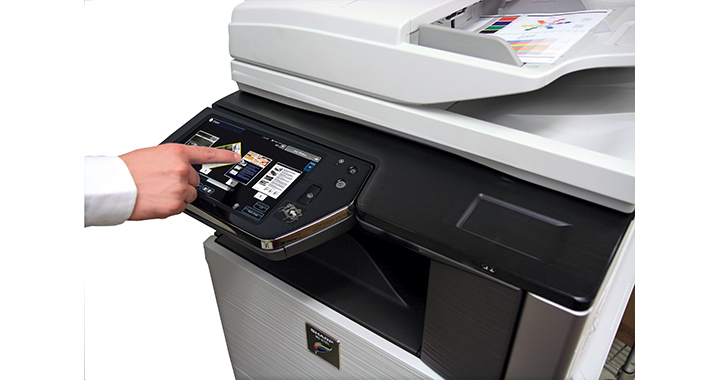 In addition, these newest MFPs feature Sharp's latest addition to its industry leading security platform, an "End of Lease" security feature. At the push of a button, this feature erases all personal and confidential information stored by the machine, essentially restoring the machine to virtually the same condition as when it first left the factory floor. This provides businesses of any size with peace of mind that comes from knowing that confidential and/or protected information is secure even at trade-in.